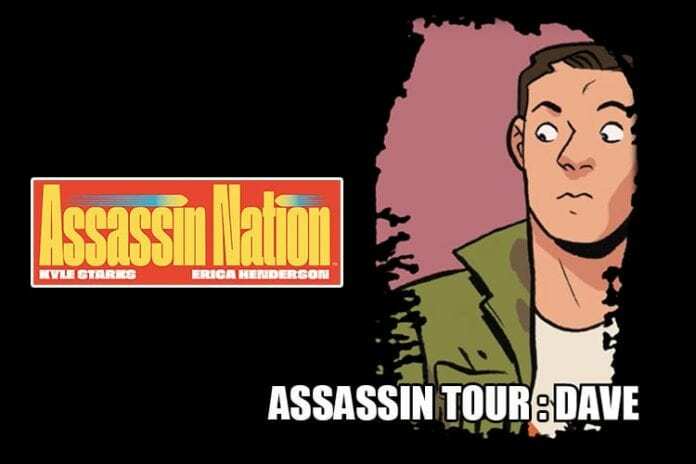 Assassin Nation #1 hits your local comic book store on March 13, but today, Monkeys Fighting Robots has teamed up with Image Comics to bring you an exclusive interview with Dave, an actual assassin from the series written by Kyle Starks with art by Eisner award-winning artist Erica Henderson. 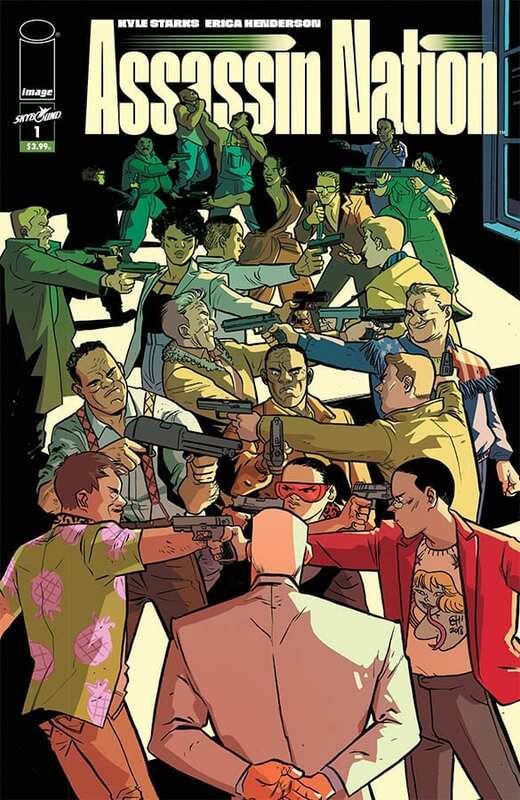 The World’s Former Greatest Hitman hires the 20 best assassins in the world to be his bodyguards. 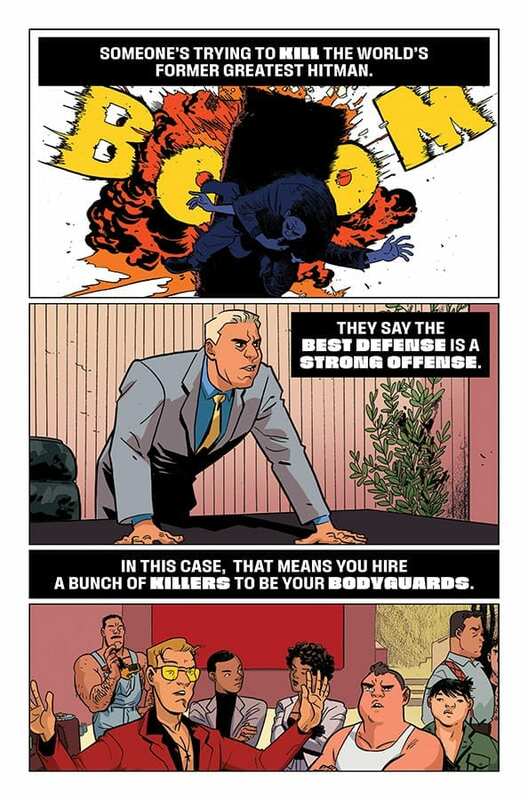 These mean-as-hell hired guns and murderers must work together to keep the new crime boss safe while attempting to solve the mystery of who’s trying to off him. 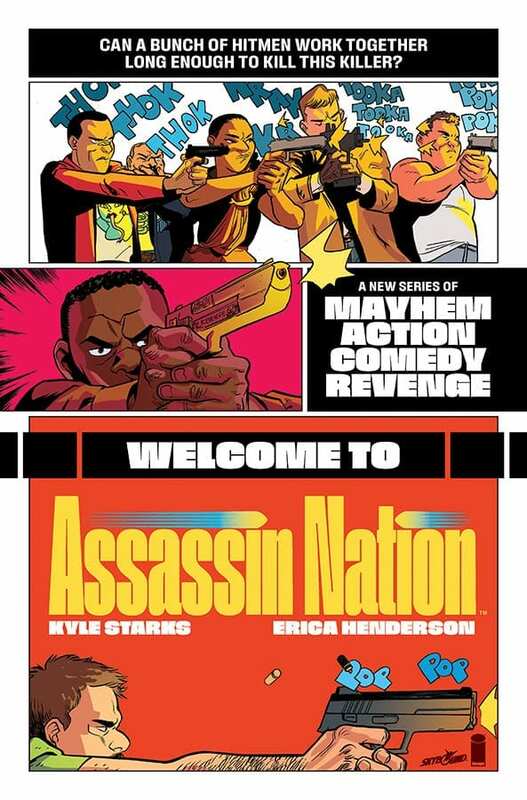 With the same laugh-until-you-cry spirit of action-comedies like Hot Fuzz, Tropic Thunder, and Deadpool, ASSASSIN NATION is the bombastic, side-splitting murder-fest you’ve been waiting for. 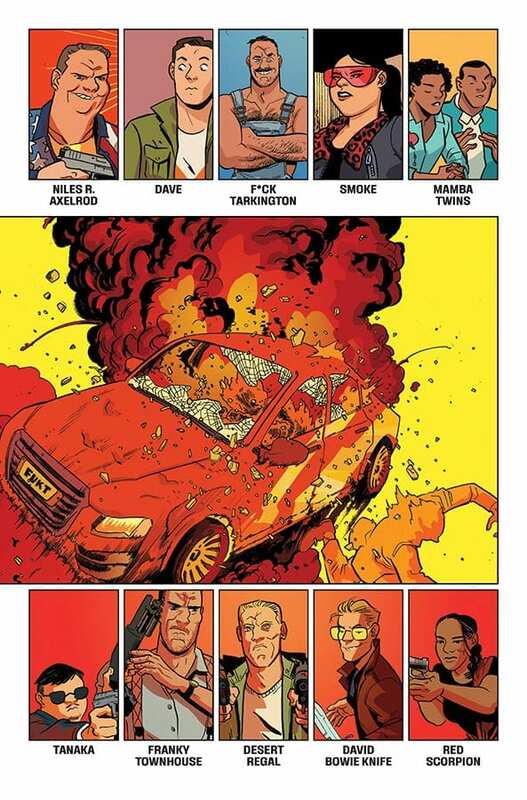 Hot off her breakout success at Marvel, two-time Eisner award winner Erica Henderson teams up with Kyle Starks for a hilarious twist on the hitman trope that will have readers laughing in the aisles. 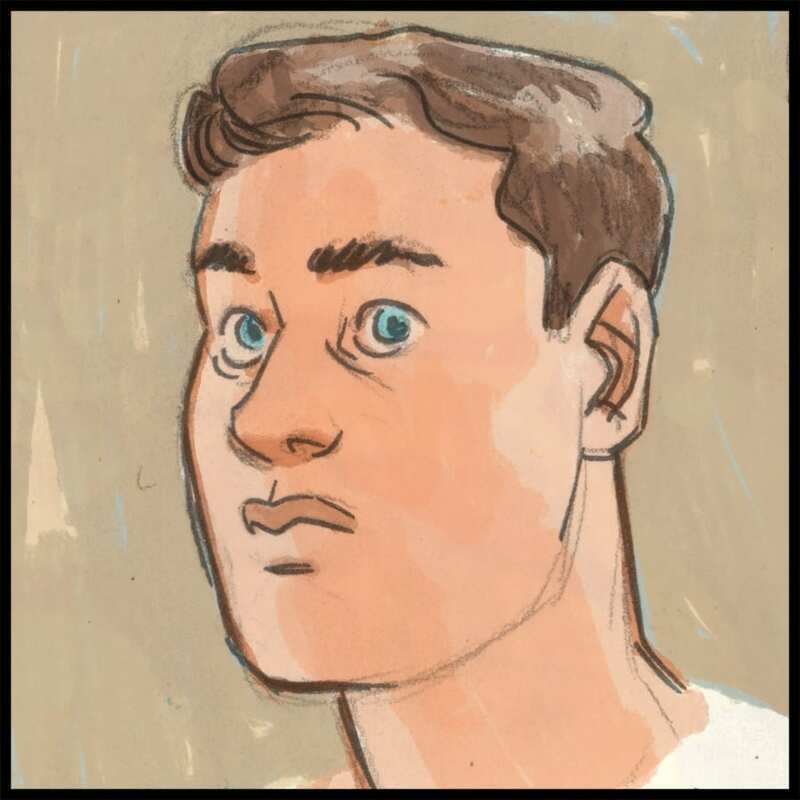 You may be asking yourself, “who is Dave?” And the truth of the matter is we don’t know (he’s an assassin; his Tinder profile was kind of vague). After reading the first issue, we had some serious questions for this autograph-seeking modern day man of mystery. MFR: On a scale from one to fainting at a Beyoncé concert, how excited are you to rank in the top 20 greatest assassins in the world? DAVE: I mean, I gotta tell you, it’s a real honor. But you can’t get there without hard work. But being in the top 20 means you’ve made it. I mean, sure, no one in the top 10 takes you serious but getting into the top 20? That’s crazy! MFR: How did you get into the killing-for-money game? DAVE: I spent a lot of time in DMZs for the military, and when I got out I wasn’t sure what to do with myself. Getting into the private sector just sort of happened. I told my wife, I said, “Wife, if you got a knack for something, you just can’t waste it.” So I’m out here doing the best I can. MFR: Fernando, F*ck, Bishop. Kiss/marry/kill? DAVE: Oh wow. Marry, kiss, kill, I guess? I don’t really know these guys all that well. It’s not like we have poker games every Friday night together or something (dang that’d be cool, I wonder if they’d be interested…). MFR: What’s one thing you always pay good money for? DAVE: Let me tell you something you should never skimp on: lawn care and steaks. You got a good lawn? You’re everyone’s friend. You got a good steak? King of the castle. 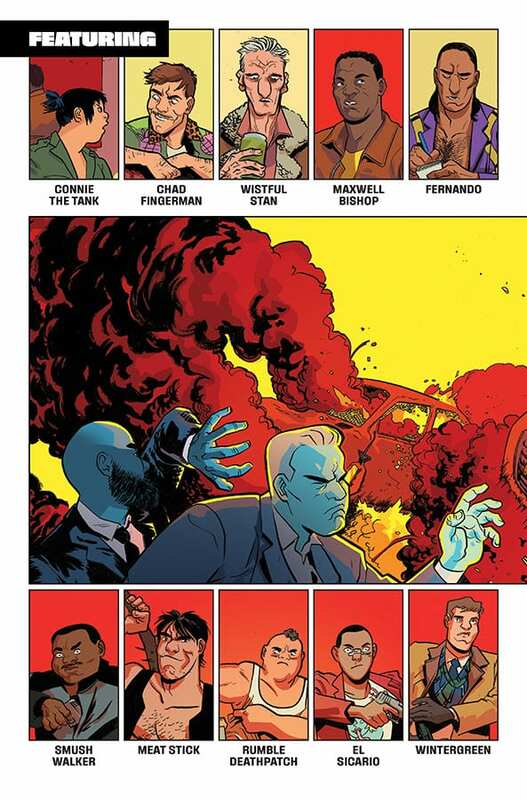 Bug your comic book store to order Assassin Nation #1 by February 18 (Diamond code JAN190122), and pick up your copy on March 13.